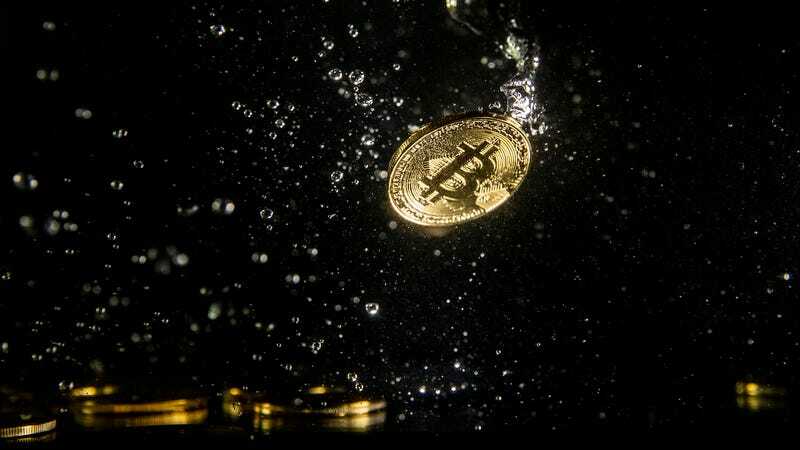 Regulators in China are considering a ban on cryptocurrency mining as an “undesirable” economic activity, according to a government document released Monday. China’s National Development and Reform Commission (NDRC) published a new paper that includes a proposal to ban the mining of cryptocurrencies like Bitcoin over concerns that crypto mining is a waste of valuable resources—a fact that’s hard to disagree with when you examine the horrific environmental impact. The proposal is available for public comment until May 7. Cryptocurrencies like Bitcoin are mined using specialized computers that sap a tremendous amount of energy. That energy consumption now rivals the amount used by entire countries for normal operations and is doing significant damage to the planet. As the South China Morning Post points out, China’s coal-dependent regions like Xinjiang and Inner Mongolia have become popular destinations for crypto-miners looking for cheap electricity. It’s estimated that as much as 74 percent of global crypto mining is occurring in China, a place where it’s also the most carbon-intensive. According to a recent report in Nature Sustainability, crypto mining emits anywhere between 3 million and 15 million tons of carbon dioxide globally. China’s proposal to ban mining is part of a larger push against cryptocurrencies in the country over recent years. The People’s Bank of China banned initial coin offerings (ICOs) in September 2017 but crypto fanatics claim it’s easy to get around that ban. That being said, it would be much harder to circumvent a ban on crypto mining in the country since the energy consumption alone tends to give away the location of the computers necessary to make it happen. One of the founding myths of cryptocurrencies is that fake money like Bitcoin isn’t dependent on society at large to operate. But nothing could be further from the truth. Bitcoin and other cryptocurrencies rely on modern infrastructure and cheap energy to stay in business and once governments start cracking down on cryptocurrencies, they become a less attractive asset for mainstream financial institutions and consumers alike. Bitcoin has become little more than a speculator’s death cult, given the amount of damage that cryptocurrencies are doing to the planet. And while the Chinese government gets a lot of things wrong, a ban on crypto mining seems like a perfectly sensible move in the face of global environmental disaster.